So said sculptor and architect Gian Lorenzo Bernini (1598-1680) in 1673. Bernini is best known for his dramatic sculptures that adorn his native city of Rome. 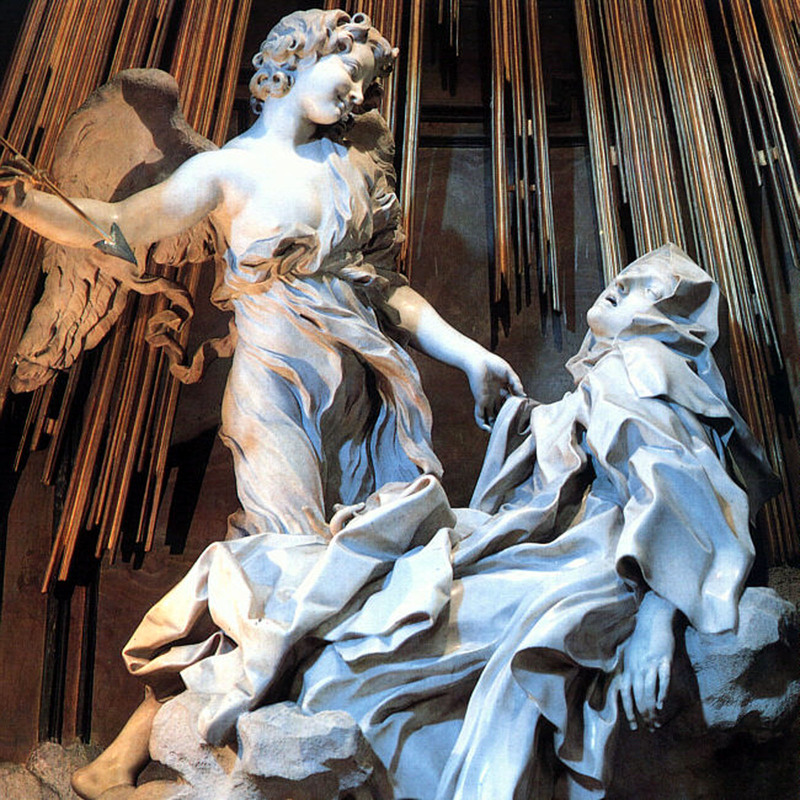 Bernini is credited with starting the Baroque movement in sculpture, a hallmark of which is his masterpiece “Ecstasy of Saint Theresa”created in 1652. This piece can be viewed in the Cornaro Chapel, in the church Santa Maria della Vittoria, Rome. “Ecstasy of St. Theresa”, 1652, Santa Maria della Vittoria, Rome. When you see Bernini’s theatrical and life like sculptures it is natural to wonder what his process was. In December I saw a comprehensive exhibition that shed light on the way Bernini worked. The exhibition was “Bernini Sculpting inClay” at the Metropolitan Museum of Art and it featured 39 terracotta models, or “three-dimensional sketches”, created by the the master. These small clay models are bold, expressive and animated. Numerous drawings accompany the models and aid in understanding Bernini’s thought process. 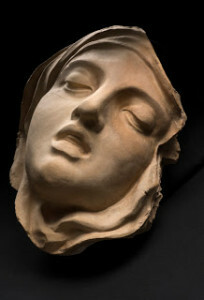 Terracotta bozetto for “Ecstasy of St. Theresa”, 1647-1652. One of the most impressive “bozettos” in the show is a lion modeled for the “Fountain of Four Rivers” (1651) in Piazza Navona in Rome. 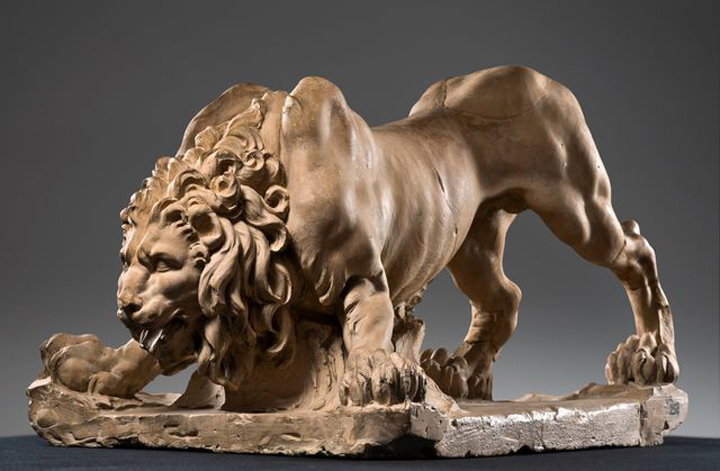 As Bernini suggests in the above quote he modeled the lion from his “mind’s eye”, a naturalistic lion exaggerated in its anatomy and expression! Terracotta bozetto for the Lion on the “Fountain of Four Rivers”, 1649-1650. The largest terracotta in the show is a bozetto for the “Fountain of the Moor”, 1655, Piazza Navona, Rome. This dramatic, twisting piece embodies the energy of the figure and highlights Bernini’s way of describing textures-muscle, skin, hair, shell, dolphin and scales. Terracotta bozetto for “Fountain of the Moor” 1653. It has been suggested that Bernini made 1000s of these terracotta sculptures, however not considering them finished works of art, but rather ‘sketches” he didn’t preserve them. Only 52 remain intact. 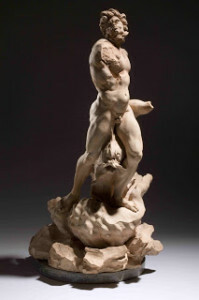 For more info on Bernini’s life view this video from the Simon Schama BBC series “The Power of Art”. I recommend the exhibition catalog “Bernini Sculpting in Clay” by C.D. Dickerson, III, Anthony Sigel and Ian Wardropper.